Decomposing In Paris is a band from Ireland that found their way to The Empty Glass late last summer. Their music is ethereal, trippy and it has a beat. It’s unlike anything we’ve had on the show. Two Irish natives and one fairy-winged expatriate from Ashland, Kentucky, currently living in Belfast, make up this band. Before the music starts, we have a brief promotional announcement for a special After ArtWalk Art Show by RFC’s newest animator, Jake Fertig. His work will be on display at Rival Cards and Games, located at 5206 1/2 MacCorkle Ave S.E., in Kanawha City near the old Southern Kitchen, from 7 PM to 10 PM. Today’s art is a digital painting of Pepper Fandango, done up in 1960s-style Spy Movie Pop Art. It’s based on a pose from a photo I took last year at Dr. Sketchy’s, but it’s been flopped, painted over, filterized, posterized and otherwise digitally assaulted. The reason for the gratuitious bikini shot is because this piece was created while I was housebound due to snow and wanted to remember summer. You can see a digital painting based on the original photo in this old edition of Monday Morning Art. Pepper, meanwhile, is continuing on with her new band, The Laserbeams, teamed with her Wayward Girls cohorts, Cat Schrodinger and Leo Tuxedo. As always, click to see a bigger version of the image. This week we are going back to 1977, for the first television special produced by Nelvana, the animation studio that brought us our first glimpse at Boba Fett and created the feature film, “Rock and Rule” before bills from the movie forced them to turn toward more mainstream productions. Since the eighties they have been responsible for a string of very successful TV cartoons like Strawberry Shortcake, Droids, Tintin, Rupert The Bear and dozens of others. 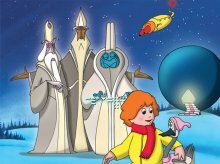 Today Nelvana Limited is one of the top animation producers on the planet. We always have to have something for the Beatles fans. This year you have two great new items. 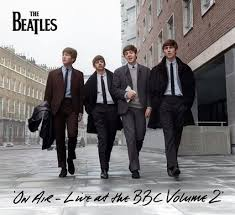 There is a new collection of previously-unreleased songs recorded by The Beatles during their BBC radio show, and Mark Lewisohn has released the first volume of his comprehensive trilogy of Beatles books. 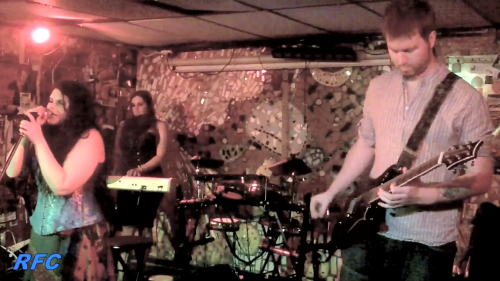 We have fresh video in PopCult this week, which you may have read about in this morning’s Charleston Gazette. First up we have the RFC MINI SHOW with Andrew Hellblinki, which you can read about here. Next we have a bonus song from The BrotherSisters. 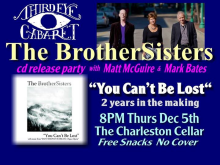 You can read about their CD Release party, which happens tonight at Third Eye Cabaret, here. 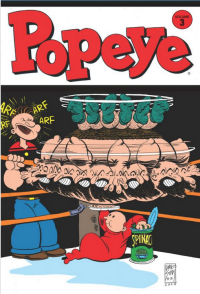 Back in 2012 I raved about the wonderful new Popeye comic books that IDW was publishing, put together for them by Craig Yoe. Sadly, that series ended after twelve issues, but now you can get the entire series collected in three softcover graphic novels, along with a cover gallery that reprints all the covers and the rare alternate covers by name artists. 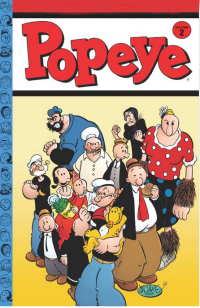 The cover gallery includes work by Mitch O’Connell, John Byrne, Jules Feiffer, Dave Sim and others, and is a real bonus because the meat of these books is so good. 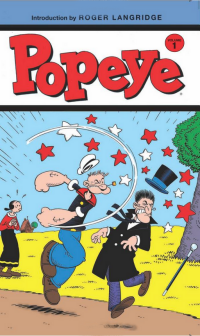 The revived Popeye comic book from IDW was astounding in the way that it captured the magic of the original E.C. Segar Popeye comics in the Thimble Theater comic strip. Writer, Roger Langridge and his team of artists have aunthentically and respectfuly recreated the style of E.C. Segar in a way that was completely entertaining in its own right. Last week I wrote about Cheesy Knockoffs, and I mentioned that last year I wrote about the Midnight Magic line of fashion dolls as a knockoff of Mattel’s ultra-successful Monster High fashion doll line. As is sometimes the case, a knockoff has become a fairly high-quality success in its own right. 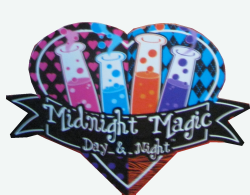 This year Midnight Magic has expanded with eight new designs for its core line of four dolls, and four new dolls at a higher price with more elaborate designs and packaging. There’s even a dress-up kit for young girls. 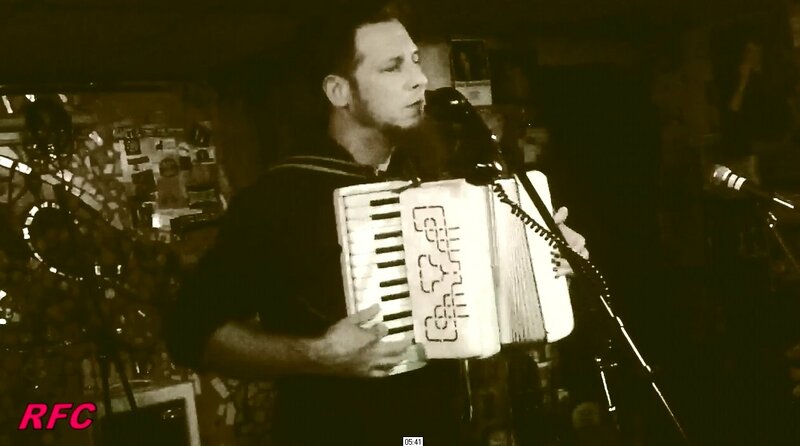 This week’s RFC MINI SHOW is a special Sepia solo showcase for Andrew Hellblinki. The Hellblinki Sextet first appeared on Radio Free Charleston way back on episode 49, back in 2008. 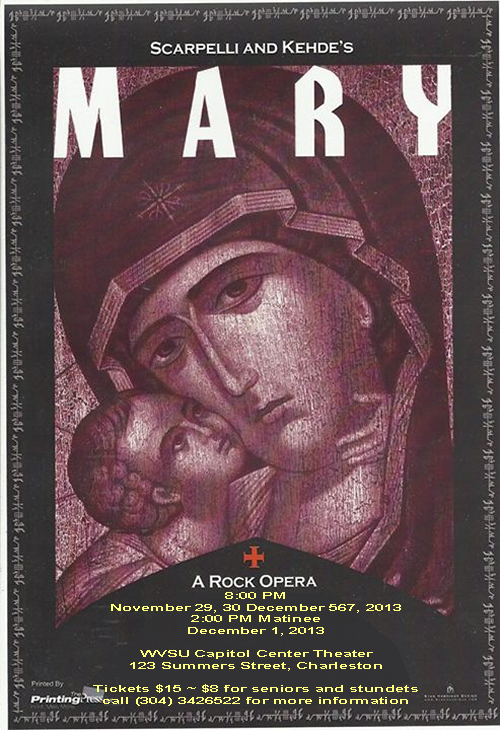 They were the first out-of-town band we featured on the show. Now Hellblinki has a new album nearly finished, and Andrew is undertaking a solo tour and a Kickstarter campaign to raise the funds to manufacture the new album, Hellblinki “Multitudes,” which is the newest batch of Hellblinki songs recorded by the full band and loads of guest musicans. As we post this episode, there’s a little more than two weeks left in the Hellblinki Kickstarter campaign and the rewards range from a download of the entire album for a dollar, to all kinds of bonuses like CD and vinyl copies of the album, jewelry and house shows at the higher incentives.